Technics SL1200 SL1210 Phono RCA PCB for connecting phono cables to the tonearm on Technics turntables. Ultimate quality gold PCB. SFDP122-22 Technics SL1200 SL1210 Phono/RCA PCB for connecting phono/RCA cables to Technics turntables. The board is fitted under the tonearm bearing and connects the thin tonearm wires to the RCA cables. 24-karat gold plated PCB for ultimate hi-fi quality. 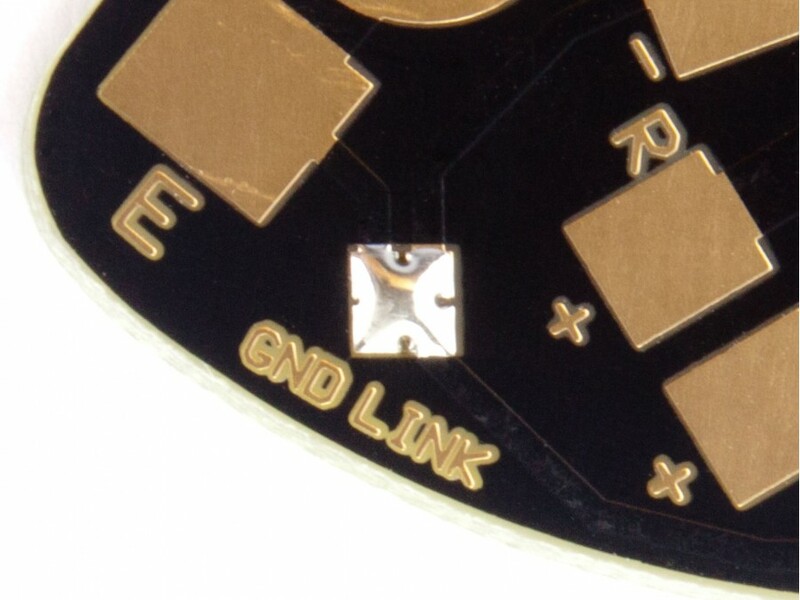 Ground shorting link allows the turntable to be grounded to the mixer or preamp via the phono leads and negates the need for a separate grounding wire. However, we recommend the use of a separate grounding wire for the best signal integrity. 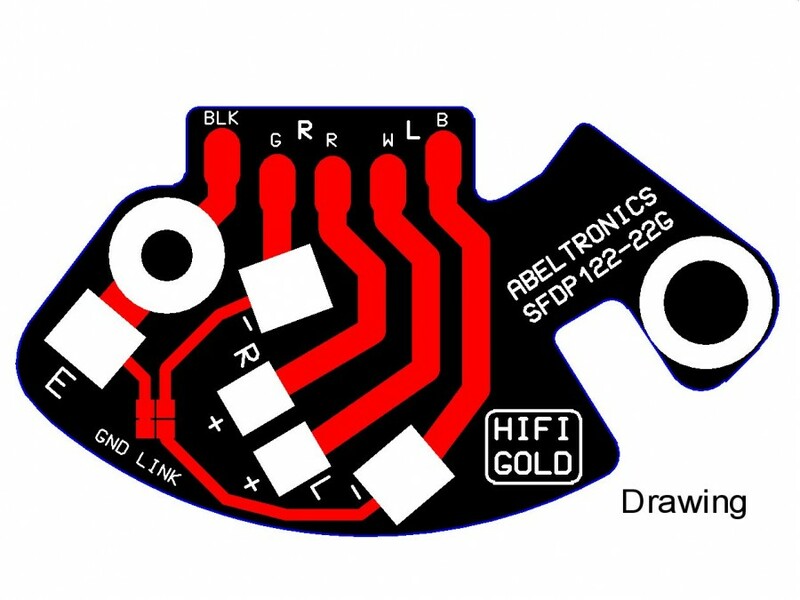 A high quality replacement for the original Technics SL1200/SL1210 phono PCB. This board is made of high quality FR4 fibreglass material and is much higher quality and stronger than the original resin-bonded paper material used by Technics. 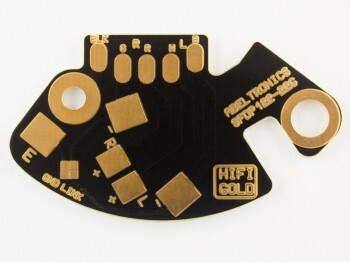 24-karat gold plated for optimum quality and signal integrity. Bare PCB only, no other accessories included.